Off late online shopping has become my favorite pastime. I am always on the lookout for new websites with branded and good quality products at the best price. 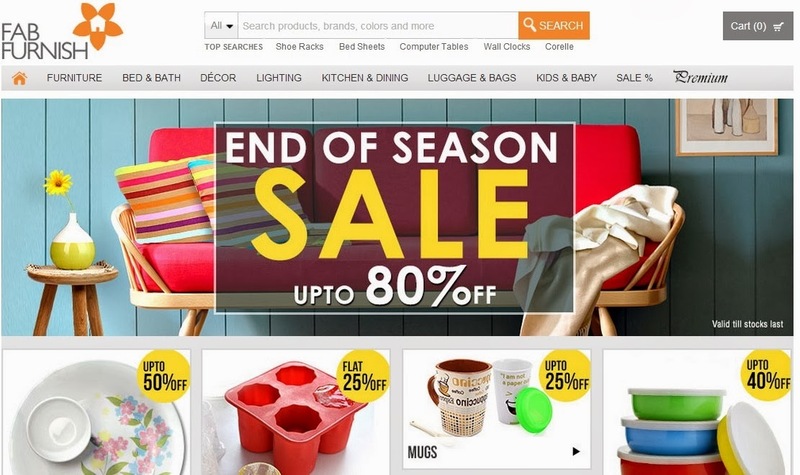 That is how I came across FabFurnish.com which is an online shopping destination for furniture, furnishings, decor, kitchenware, luggage and bags. FabFurnish has the best range of quality solid wood and furniture for your indoors as well as outdoors. In addition to the widest range of furniture online, they also have basic home furnishings which I am sure every lady would love to have at home. Recently FabFurnish has come up with a TV commercial which looks quite impressive. Do check it out below and I am sure you will agree with me! All the products at FabFurnish come with best quality and one year warranty - whether it is a sofa, home lighting fixtures, spacious wardrobes for bedroom or kitchenware for your kitchen. They offer the best prices in the business and surely you can never find a better price than the one at FabFurnish. There are many products which can make your home a beautiful place to live it. FabFurnish will definitely help you to make your home a better place. I have shortlisted some of my favorite products at FabFurnish and I am sure you will enjoy checking them out. FabFurnish has wide variety of clocks like alarm clocks, table clocks, wall clocks and even designer clocks. These clocks will help you show off your style quotient and bring elegance to your home. With many products available in the market, FabFurnish offers only top quality and fashionable clocks. I loved the NeXtime Shell Wall Clock which is truly a master piece. 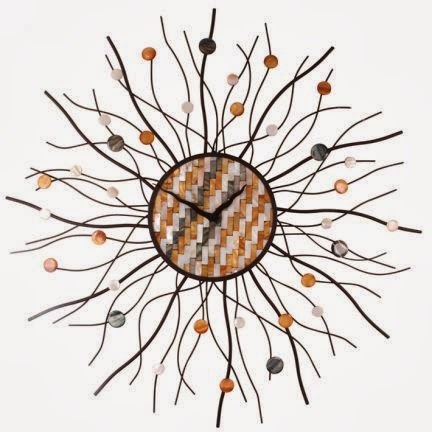 This black and brown colored clock brings us closer to nature with its ethereal beauty. Sofas & Sectionals is one piece of furniture which every living room has. They can surely change the boring look of your home into a paradise. 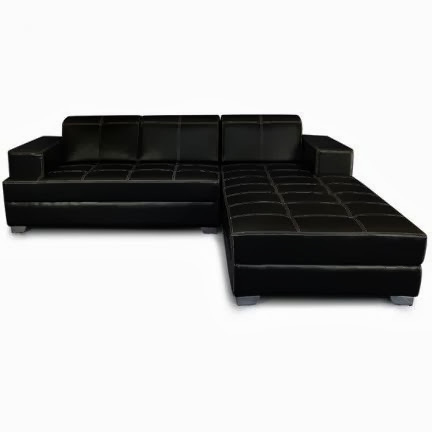 Fab Home Arizona Sofa L-shape is tailored to perfection for your stylish living room. It is truly classic British style and I loved it the moment I laid my eyes on it. 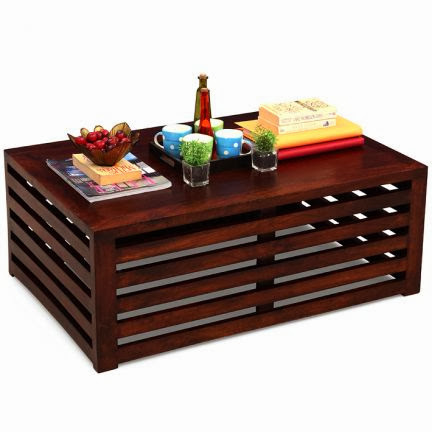 Coffee Tables at FabFurnish are hand crafted to suit the needs of any urban home. You can enjoy these products at the best price as they have many discounts on pieces in the entire range. Be it a small stool for your bedroom or a bigger one for your living room - FabFurnish has it all. My favorite among the so many coffee tables is Elmwood Repeat Large Coffee Table which is a perfect example of modern styling. I would love to have it in my living room and impress all guests! If you want to feel great about your home atmosphere, then you should add your own touch to it. A cushion cover is definitely one thing which can reflect your taste. FabFurnish includes all the cool, contemporary and traditional designs of cushion covers. 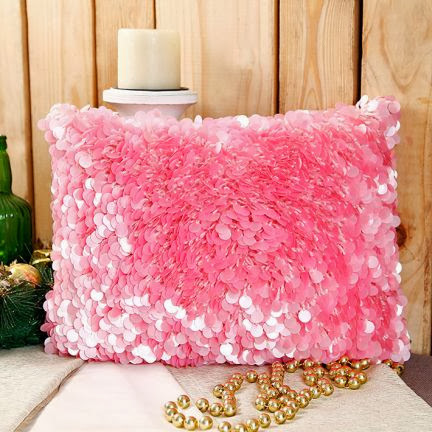 Ultra-Snob Wool Looped Sequins Cushion Cover Pink is something I would love to have in my room as it is classy, cute and attractive. Now after seeing the above products I am sure you can't resist yourselves from shopping. Shopping with FabFurnish is extremely convenient and easy. They have door delivery everywhere in India with multiple payment options and secure payment gateways. You also have a return policy for damaged or defective products. So, what are you waiting for? Browse through FabFurnish.com, check out their wonderful products and order home decor essentials of all kinds. Happy Shopping! Even I loved the commercial part. Happy shopping dear! oh they have such pretty pieces! Would love to shop from them!